This is a topic that several beauty bloggers have been talking about, but most notably British Beauty Blogger, from whom the badge here, was taken. Now, I don't work in the beauty industry. Writing and the Media are more my area of...well, I'd like to say expertise, but sometimes I think that's just being optimistic! But, as a speaker within the industry of beauty (sort of), I still feel like I should give my thoughts on this subject. 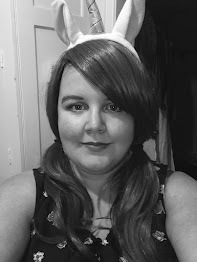 After I finished University, six years ago, I was determined that I was going to work in the Publishing industry, that I was going to be this hot-shot Editor who spends her days reading manuscripts and helping to piece together the next big sellers. Nevertheless, the Publishing Industry, is very much like the Beauty one (which is why I'm bringing it up, if you hadn't already guessed!). It is an absolute nightmare to get in to, and even harder if you try going in via the front door. Or in "blantant" English, you have no chance in hell of succeeding through the most common methods of simply applying for the lowest position in the Department you'd like to be working in, and gradually work up. Why? Because these days practically everyone wants to work in either: Publishing, Beauty or the Media.And with the economic climate still being wobbly, this means more people applying for fewer available vacancies. Unfortunately, this means that we have to think of other ways into said desired position. And, for many of us, this involves doing an internship/work placement/work experince or whatever you want to call it, because other than length, they're all generally the same thing anyway. 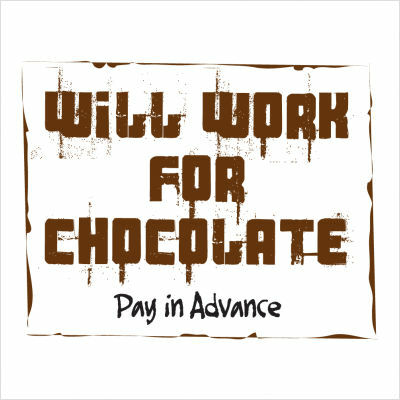 I, personally, undertook two work placements in the September and October of 2005, at two of the countries leading Publishing Houses. I won't name them, because well, I don't fancy being sued! But, I have to say, that whilst both of them did offer me compensation to cover "food and transport", I thought that the amount given was incredibly disgusting, looking back on it. I can't remember how much I was given exactly, but I remember it really wasn't enough to cover more than a very basic lunch, if I was lucky. The point I'm getting to here, is at the time, I was under the impression that this was absolutely normal. So, there I was, 21-years-old, slightly naive, desperately craving this job opportunity in Publishing, doing all this work that they weren't "really" paying me for, trying to make a great impression, whilst the bosses at the top were laughing at their practically free labour, because they don't have to hire a full member of staff to do it. And when you consider that most departments at one of the Publishers had at least one, maybe two interns at any one time, that's a lot of very cheap labour you have there! And did any of us get a job at the end of it? Of course not! I know a few of us tried, but I don't know anyone who succeeded that way. I'm sure some people do, of course, succeed via this route, but I'm not convinced that "some" employers are even willing to try, they're more interested in saving money and keeping costs down. And the sad thing is, that a lot of us impressionable souls (queue the violins) are willing to do it, because we don't know any better, and are made to believe that this is "just the way things are". Whew. I know this blog is getting rambley and long, but I think that it's definitely time for things to change. These young men and women are working hard to do a great job, trying to impress, but it's falling on deaf ear of money-grabbing Bosses. 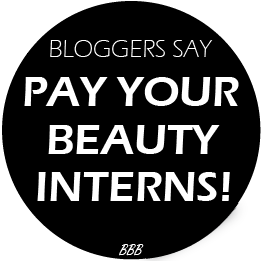 So listen up, beauty companies, pay your interns! Because without them, who'd be making you all those cups of coffee eh? Who'd brighten up your day with their youthful optimism, and slightly annoying happiness?